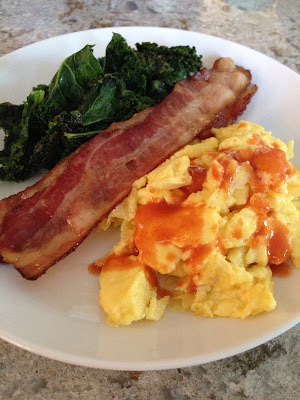 This morning we had scrambled eggs, bacon and kale sauteed in a touch of coconut oil. I love eggs in general and would probably eat them for every meal if I could. We made a mad dash out the door to get to baseball. And left early to avoid the pizza lunch that was being served and stopped at the market to pick up a special piece of meat for dinner. 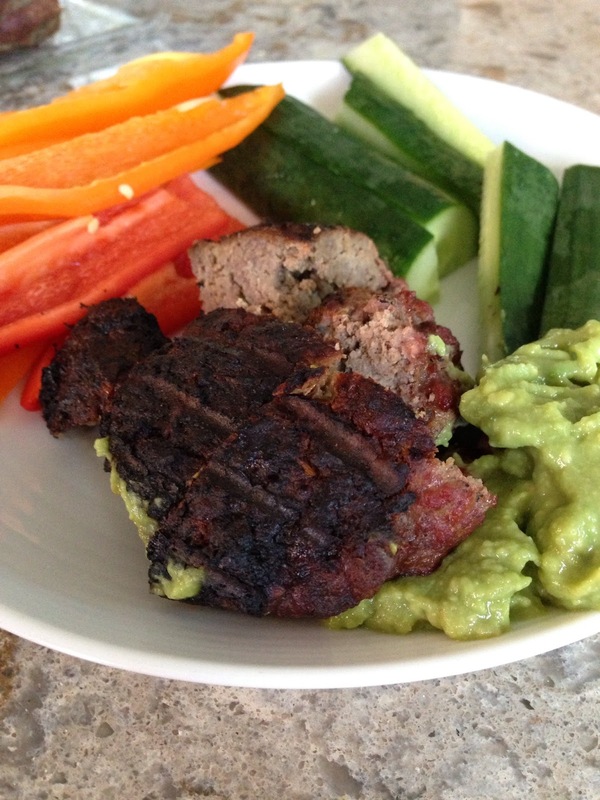 Came home to have leftover grass fed burgers with raw peppers and cucumbers and a side of homemade guacamole. I'll generally always try to cook up some extra meat to have for lunch the next day. For dinner, crispy roasted pork belly and braised cabbage. The house smells incredible. There are few words to describe how delicious this is.